Laid-back folk-rocker Dan Fogelberg performs a set of some of his best and best-known tunes in this live concert, recorded in concert in St. Louis in 1991. Fogelberg and his band perform 16 songs, including "Believe in Me," "Over and Over," "Missing You," "Run for the Roses," "Leader of the Band," and "There's a Place in the World for a Gambler." 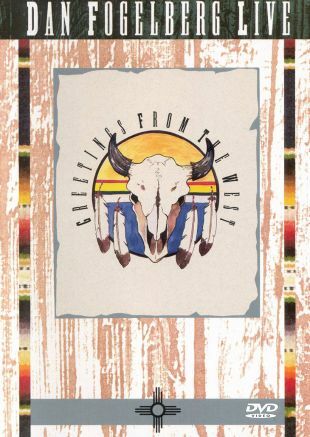 Dan Fogelberg: Live -- Greetings From the West also features an exclusive backstage interview with Fogelberg, in which he offers a perspective on how he wrote some of his classic songs.